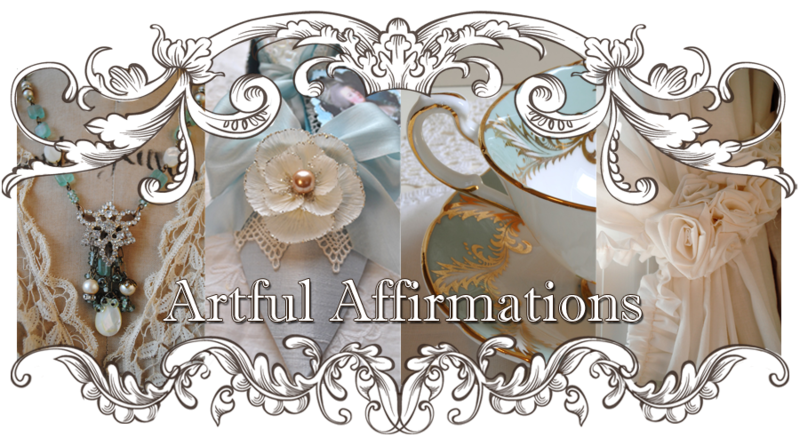 Artful Affirmations: Joyful July Giveaway! And one of the things that brings me joy is a giveaway! Yay! Since I have blogging friends who enjoy different things, I have chosen three gifts in hopes that each of you has at least one favorite to *wish* for. A sweet cup to enjoy! This lovely tea cup is waiting for one lucky winner to welcome home! I will share all about this cup at this weeks Tea Cup Tuesday. Creating jewelry always brings me joy...I would love to send these off to one of you! They will arrive in little hand made bag too. They would make a great accessory for a night out this summer! A FREE DOMINO BOOK CLASS TO ONE LUCKY WINNER! ...and in celebration of July, my Altered Domino Book class at Creative Workshops is on sale for everyone! 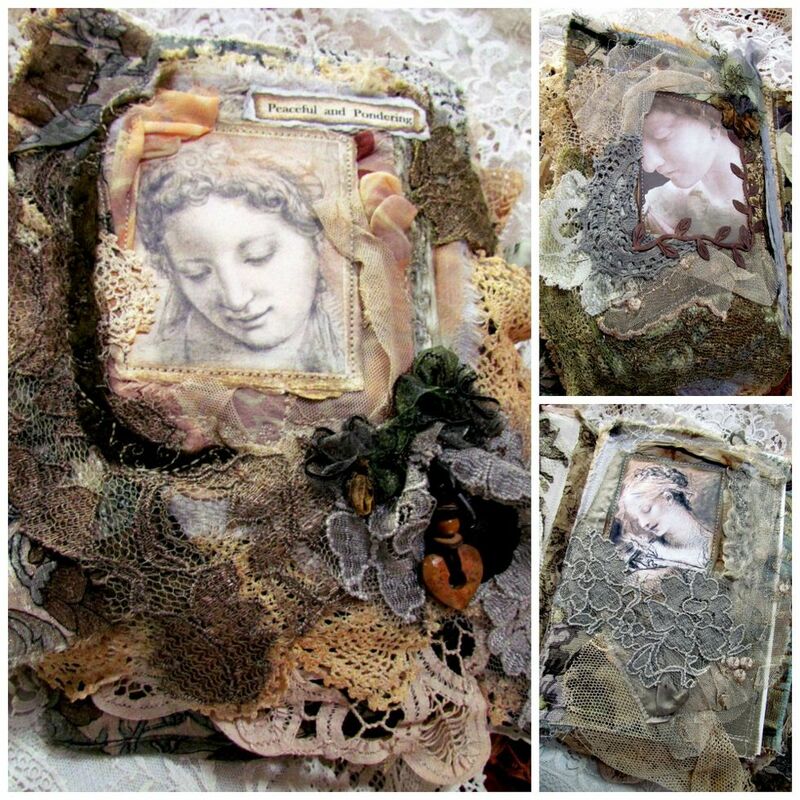 Linda of Blue Eyed Girl, was the first winner in my last giveaway to win a free class...Click here and see the gorgeous totally amazing domino book she created! (The above image is a domino book I made for fun..
Any follower (and new follower) can leave a comment, mentioning what you would love to win. Wow! All of those prizes are wonderful! I'd be very happy to win any of them, but I'd love to add the teacup to my growing collection! It's beautiful! Thanks for the chance to win! What a JOY filled give-a-way! All your gifts are lovely. You KNEW I"d love the teacup! I love the bird on this cup! I promise I'll give a very good home! Thank you so much for the giveaway. I think the teacup is beautiful and would love to win it. Hi Terri! Oh - when you have a give-away you certainly tantalize and spoil us all! I'm not sure I can choose just one! However, when pressed, I believe I would have to go for the teacup. I have two cups with birds on them and would love to add this to my winged wonders collection! I look forward to hearing more about it on Tuesday! When you visit me then, I'll be introducing you to Betsy Ross! P.S. Your Domino Book about Beatrix Potter - brilliance! LOVE our Lady Beatrix!! You have such a generous soul...thank you for that! Stunning teacup and saucer! All the giveaways are fabulous..such generosity, wow!!! I'd love to win this teacup, it's just my style!! Thank you for visiting me, you put a smile on my face sweet lady. Thank you for the giveaway chance!! Wow Terry, such a generous giveaway! Although I've loved tea all my life I am just starting to collect so I would love to win the teacup & saucer. Oh I would really love to win that tea cup, it is stunning, collect all things with birds on, can imagine having a lovely cup of Lady grey from that cup. I WILL BE HAPPY TO RECEIVE THE CUP TO THE WINNER if I am. WONDERFUL GIVEAWAY!!! I think you already know me well enough to guess that my favourite prize would be... the TEA CUP! I love the floral decoration and that ruffled edge of the saucer. But the other two are very desirable, as well! All is nice, but, the teacup is my favorite! sooo pretty! Love birds. Thanks for the chance to enter! Wow! How generous of you. What fun. The earrings are beautiful but it is the teacup I would love to win. My sister in law just monogrammed tea napkins for me with my initials and a teacup in blue so I am looking to add cups with blue in them. I do love birdies too. Thank you so much for including me. I appreciate it. Wow - another giveaway! Hard to decide among these lovelies, but I guess I'd have to choose the teacup. What generous giveaways Terri! I love them all but will go with that beautiful teacup-flowers and birds and vintage teacups-love it all. Thank you for the chance to win. What beautiful and special give away gifts, dear Terri. Your domino book class, is so wonderful, and so are the lovely earrings, and the sweet cup. As I have almost just won from you, I will not take part- only tell you that I love your gifts. Hi Terri. You are so generous! My first wish would be for the teacup, and my second, for the earrings - if I should be so lucky. Thanks very much for your kind offers to us. Happy Fourth! 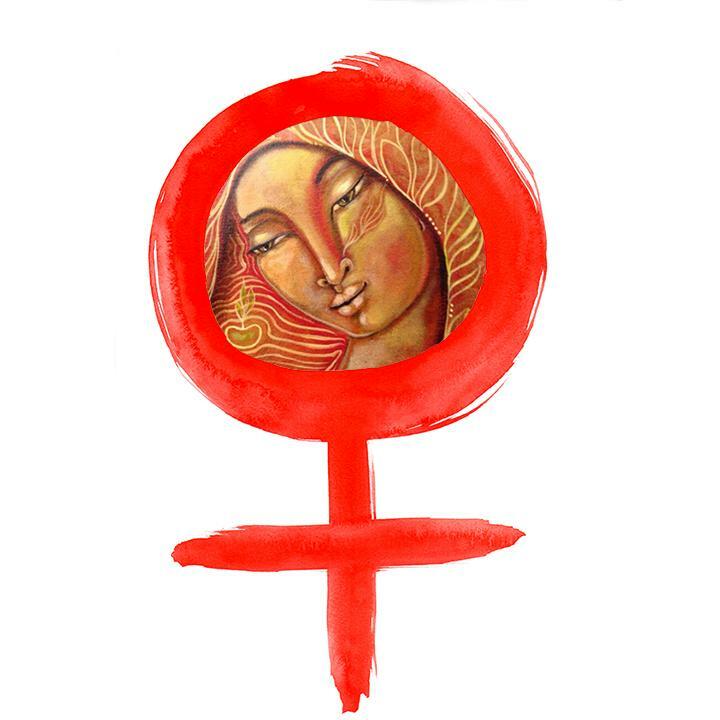 Hi Terri, for years I couldn't wear earrings because of allergiqc reactions... but all of a sudden it is over! I am so happy! So count me in for those beautiful earrings... Have a lovely day! Your teacup is to die for! The bird and pastel colors are so pretty. Thank you for the chance to win something. So very generous of you. No surprise...I would love to win the teacup! Thanks for a marvelous drawing! and love your blog, as well. Hope I am the lucky winner. You are too generous!! All of the items are great, but my favorite are the beautifulnearrings!! I just had my hair cut short for the summer and thesevwould look lovely with my new 'do!! This is the first time I've seen one of your domino books and they are truly lovely! Thanks for sharing your beautiful images. Hello Terri, what lovely prizes! Everything is just so beautiful! The domino book is amazing! I do appreciate you hosting! Your gifts are so thoughtful and gorgeous. I would love any of them but most of all to take your class would be wonderful.Thanks for the chance. Hi Terri, I would love, love, love to win the domino class. It looks abSOULutely amazing. What a generous giveaway ... your prizes are fab! I am crossing my fingers extra hard, thanks for the opportunity! Its so exciting to get to Wish upon a domino or a tea cup. Stars in the night, the little earrings call to me too. Who could choose! All so wonderful! Thank you for sending wishes and joy. Hi, love the domino book, it's just awesome. How great would it be if I could join the class..Thanks for your generosity..Good luck, everyone. ! Joyful July, what a great concept. I would love to win the beautiful tea cup for my sister, who collects them, because she is struggling with some very serious issues. A little joy to send her way would be great. I'm glad to have a new blogging inspiration with you. I would love to win your domino class! I have seen the beautiful domino books that have been made from taking your class and they are just incredible!! Oh Terri! This is amazing! I would love to wear your jewels! Thanks so much for your sweet comments...you really made my night. And you also reminded me about tea cup tuesday....I'll have to see what I can do to join in on all of the fun. Thanks so much for this awesome opportunity! I would so like to take your class! Your giveaway gifts are absolutely wonderful! I would love to win any of them but especially your class! I do so hope I win! I would love a chance to win the domino class. They are all great prizes and I would be happy to win any of them, but especially the online class. Lovely goodies. Thanks for offering this giveaway. What a lovely giveaway - all the prizes are special and would be wonderful. If I were lucky enough to choose just one I think it would have to be the wee book class - if only so it would save on postage (but also because I love it). 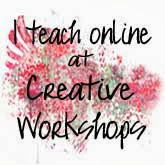 I am a new follower and I would LOVE to win your class. All the prizes are lovely, but I have wanted to take your class for a long time and couldn't afford it! Thanks for the chance to win. This is such a lovely giveaway! Actually, I would love to have a chance to win the Domino Book Class/Workshop. I love your creativity! What a wonderful selection of prizes. I love all three and would be delighted to win any one of them. The tea cup is beautiful, earrings so very pretty and naturally the class would be a blast. Thanks for your generosity and the opportunity to win. I would love this class. How nice of you to do this giveaway! My ears would delight in your lovely adornments. The class looks delicious, creative and juicy. I am now a new follower. All your give away gifts are so great, but the little domino book fascinates me and that would be my choice should I be lucky enough to win. Thank you for the Giveaway. Hugs! I'm a long time follower, but haven't checked in in some time. Adding you to my blog roll - That seems to help remind me! Your giveaway is so generous. If I am blessed to be selected, I would love the Tea Cup! I have one Royal Albert - not this one with the hummingbird on it however. 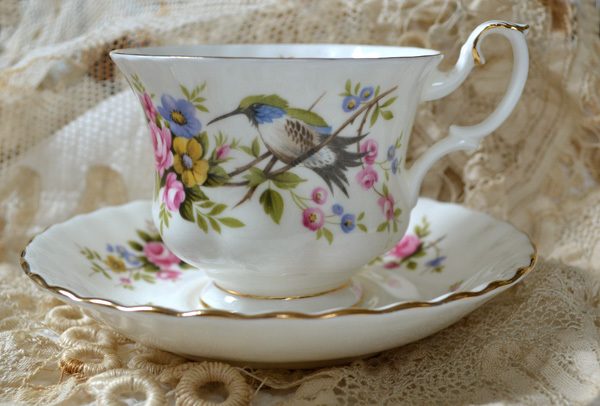 Tea cups are my favorite things to collect, and use, as I am a tea teetotaler, and hummingbirds are my favorite little birds! Love to win it, that's for sure! I always love your tea cup Tuesdays - so very English and genteel - and you manage to find such interesting ones too. I have seen dozens of domino books - but none created in such a way as yours - the detail - the feminity - the nostalgia - the added details of feet - they truly are works of art to be treasured for years to come. I would dearly love to make one - I have the dominoes - it would be just perfect to kick start me back into inky crafting and to create something so wonderful would be heaven. Thank you so much for the chance of entering this giveaway - and good luck to everyone who enters. I love the tea cup and the theme of Tea cup Tuesday. those are generous giveaways. I would love to participate and I would chose the Earrings. 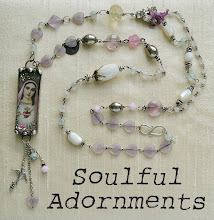 Beside you are talented in many ways, you make such wonderful jewlery. Thank you for hosting this great giveaways. What a sweet give away... everything is beautiful but I love the earrings.... That would be a phenomenal thing to win !!!! All are lovely and so generous of you! Would love the class! Hi Terri I have only just found your wonderful blog. I would love to win the domino book class as it looks like so much fun. Beautiful gifts you are giving!! I LOVE the teacup with the humming bird, so I want to join in on the fun. SIGN ME UP! While I love the teacup with the bird and the lovely earrings, I think I'll choose the domino book class. 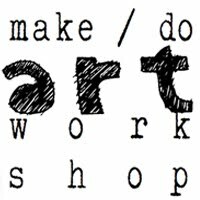 I'm a mixed media artist and I think your lovely little books would make sweet gifts for me to give to my family. Thanks for the great giveaway! What a wonderful and generous Giveaway! Your earrings are so pretty, but you know me, I would L-O-V-E the teacup! I have never seen the hummingbird cup before and it's Royal Albert too! Yes, I'm a follower and would love to be a winner. Thanks so much for a chance to win. Terri, you're always so generous! I have had the honor of taking your domino class and loved it! Any of your gifts would be appreciated. Thank you again for your kindness. What wonderful gifts! Its hard to choose, but I started collecting teacups late in life and the hummingbird teacup would be cherished in my home! Thank you for being so generous with your giveaway. Thank you for a chance to win one of your beautiful gifts. Now, to choose, I think it would be those lovely earrings. Wow Terri..everything is beautiful and gorgeous and fabulous..I love them all so much..it is an honor to win any of them..thankyou for your generous heart! How Beautiful! What a wonderful giveaway. All of those prizes are wonderful but I am in LOVE with the teacup. I drink herbal tea on and off and always believed that it tastes better when using a beautiful tea cup! Thanx for the chance to win! Terri, Hi!I am a follower and I am on your e-mail . I have hummingbirds year round at our home. I feed them yr. round. What lovely giveaway gifts. I would enjoy either one of the gifts. the one I would like most would be the tea cup with the hummingbird. thank you for the fun giveaway. Please enter my name in the hat! A sweet little bird cup! 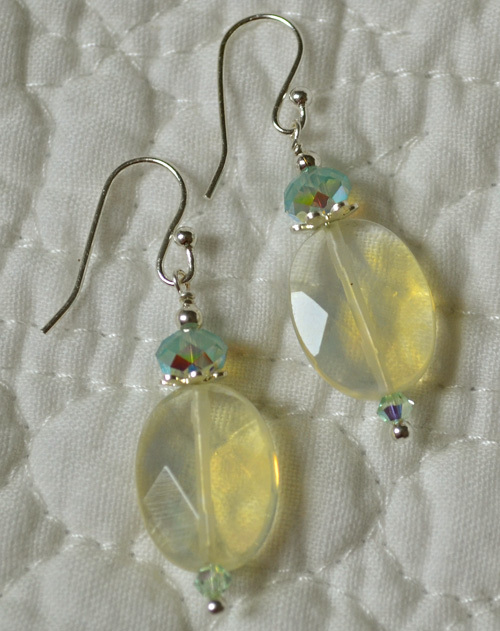 Summery yellow earrings! And a class with such an inspirational teacher! Any of these would be lovely and make for a memorable July. Thank you for this opportunity. Your blog always makes my day lighter. I am in love with that little bird and would love to win the teacup. Thanks for the chance to win. Appreciate a chance to win - I would truly enjoy taking your Domino Book Class as I have been making domino necklaces for quite a while and love that they are like tiny canvasses. Hello Terri! Thank you for the chance to win! I would love the domino tutorial if I should win! This is my first visit but it won't be my last. I collect cup and saucers and teapots and I love the teacup but all your prizes are so nice...Thank you for this give away. Hi Linda, I love your Joyful July prizes. I'd be hard pressed to choose just one...they are all gorgeous and any of them would be a welcome addition to my collections! The domino book class would be new and fun since I've never done anything like that before! You are always so very generous with your giveaways, Terri! Thank you for a chance. 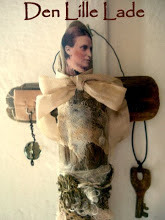 I would love any of these offerings if I were lucky enough to win something, but I especially love those earrings, and I'd love to take your class on creating the domino books. Have fun with your giveaway! 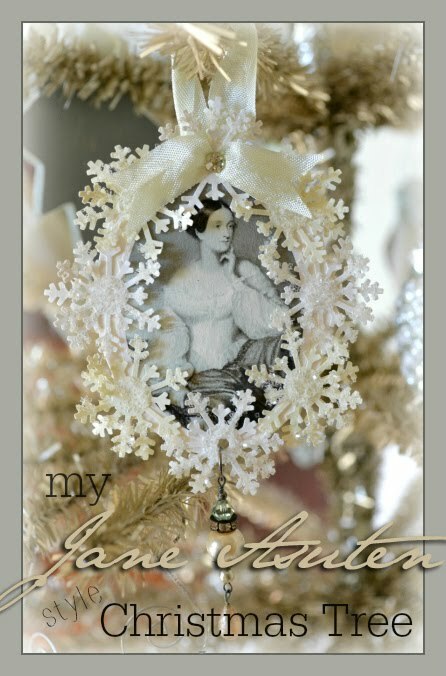 I would LOVE to win your online class at Shabby Cottage!!! I love your work and have just started dabbling in that kind of artwork. Thank you! Hi Terri, I would be thrilled to win the online class. How wonderful that anyone anywhere can learn new and beautiful techniques. Thank you for your generosity. All of your gifts are amazing, but I would so love to learn the altered domino book, they look so precious! As always, thanks for your generosity! Eu tenho amor por estas louças. veja no meu blog em "minha prateleira" adorei a xícara com o prato. What a wonderful give away. Thank you for the opportunity of winning one of these amazing gifts. I would love any of them. Thank you. These items are so unique and beautiful. However, those earrings are right up my alley. I can see the light catching them as I wear and I know I would have a smile on my face from ear to ear thinking about them. Thanks for the giveaway and giving us a look at your beautiful things. Thanks for the chance to win one of these wonderful creations! You have always been an inspiration with the wonderful things you come up with! 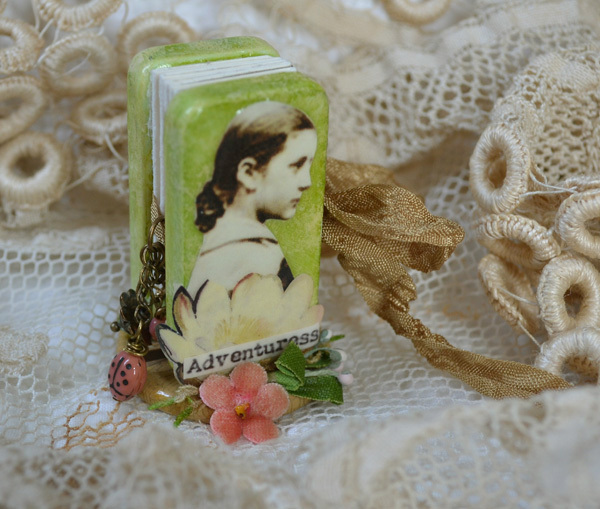 I have always admired the wee domino books you make and would love to take your class on that! Thank you for having these giveaways! Thank you for doing this personalized Giveaway! 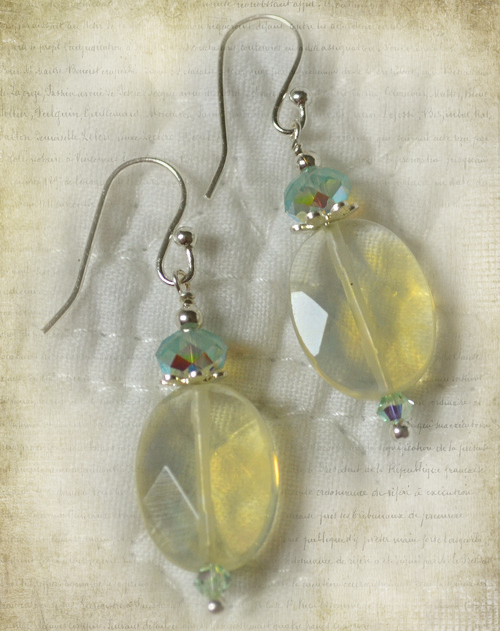 All three prizes are great, but I have a thing for earrings...please put my name in the hat for those sweeties! of your most generous giveaway. Wow wouldn't that be rather special - to win one of these most gorgeous gifts. The cup and saucer is so gorgeous, your earings, your domino class. Well sometimes a girl can get lucky. Did I tell you that I LOVE your prayer flags with all that healing love? I just need to tell you again!!! Lovely giveaway Terri! I honestly would be thrilled with any of those beautiful gifts! You are offering a chance for three nice gifts. It is a difficult decision., but I would love to have the pretty teacup to add to my small but growing collection Thank you for this awesome giveaway. Thanks for sharing your lovely prayer banners. I love your creations, but these really appealed to me. They are charming and thoughtful. LOVE THEM. I adore the bird cup and saucer. Wow, three giveaways and they're all so great. The tea cup, though, would have to be my favorite. The hummingbird is so lovely. What a nice giveaway. All of the prizes are great! I'd be happy to win any of them, but I'd love to have the beautiful teacup. Hi Terri, I feel like we are old friends, I enjoy your work so much. Your style is so similar to mine but you express it so much better than I can. Thank you for sharing with us. Great give away! The beautiful tea cup is the gift I would love too wni. Well, I just came over for a peek from The Prayer Flag Project because I was struck by your flags...and I just received a gift shipment from Deanna Cohen (a blog buddy from Jude Hill's Feather Project) of lovely lace embroidery to play with. So, I've become a new follower here too, and would delight to win the Domino Book class, so I'm throwing my hat in the ring. All 3 are lovely give aways..so hard to decide..I would probably chose the teacup first and the earrings, second..thanks for the chance. What a fun giveaway Terri! All the choices are wonderful and it is a hard decision but I think that I'd like to win the teacup! Magnificent domino books! I would love to win your class! Thanks for sharing with your followers! I love your beautiful domino books! I would love to win your free class. Thanks so much for sharing these gifts with your followers! I would love to win your Domino Class! Of course, any of your giveaways would be a treat! Thanks for a chance to win! You have lovely taste, the domino book is adorable. I would love to take the class if I were blessed to win. Hi Terri....you know that I am a forever follower....what a beautiful give away....please throw my hat in the ring. Your blog is such a lovley place to visit. I am a brand new follower having found you by happenstance...and since I too collect tea cups/tea pots I would choose the lovely tea cup. 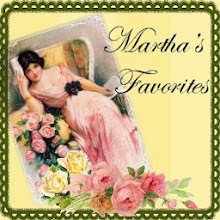 Please stop by my blog for a visit. Just waiting to hear that the teacup is on it's way to Palm Bay, Florida where I promise to give it a prominent place in my newly added glass door kitchen cabinets....or perhaps on one of the shelves!!! Love my teacups and love getting your pictures of teacups. Planning to print some pix out and frame them. I thought that I entered already, oh well, better late than too late. Really love those earrings. Thanks for a chance.